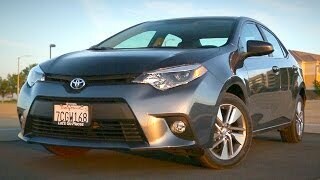 Toyota has unveiled the 11th Generation Corolla, distinguished by a more expressive, chiseled exterior design. 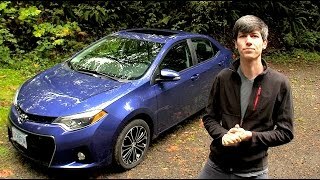 The all-new 2014 Toyota Corolla will include dramatically amplified elements of style, design, quality and craftsmanship, while building upon the stellar Corolla reputation for reliability, efficiency and function. With nearly 40 million units sold, the Toyota Corolla is the best-selling car nameplate on the planet, and this year marks its 47th year on the market. The all-new Toyota Corolla makes an immediate visual impact with a design that elaborates on the “Iconic Dynamism” theme. 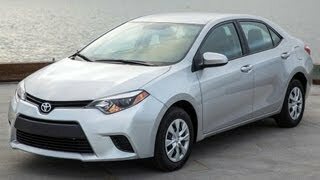 The new Corolla has a longer wheelbase, features an expressive front fascia, large trapezoidal grill and sleek LED lamp assemblies. The new Corolla’s interior creates a stylish, highly functional, and inviting interior space with a greater sense of craftsmanship in its design, use of materials, and attention to detail. Depending on interior color theme, blue, black or amber pinstriped accents are used in conjunction with the dash and door panel ornamentation to enhance the premium appeal of the interior. 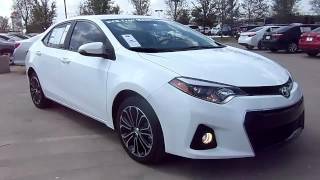 The 2014 Toyota Corolla offers two efficient 1.8-liter, all-aluminum four-cylinder engines. The base 1.8-liter unit with VVT-i is available on the L, LE, and S grades and is rated at 132 horsepower. 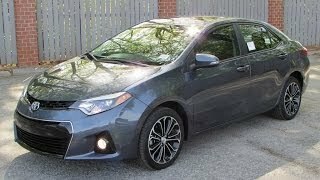 The Toyota Corolla’s new LE Eco trim level is equipped with a 1.8-liter engine with Valvematic , a valve train technology which appears for the first time in North America with Corolla.